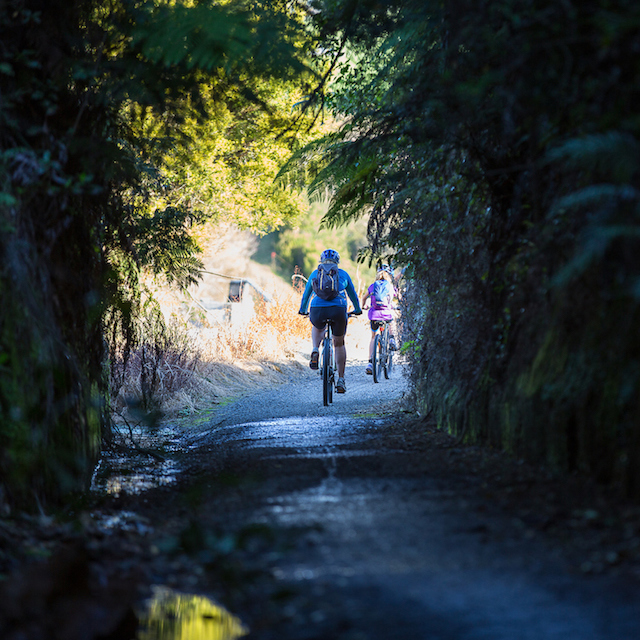 Section B of the Hauraki Rail Trail starts along the Thames Coastal Walkway and passes the historic single span Kopu Bridge. 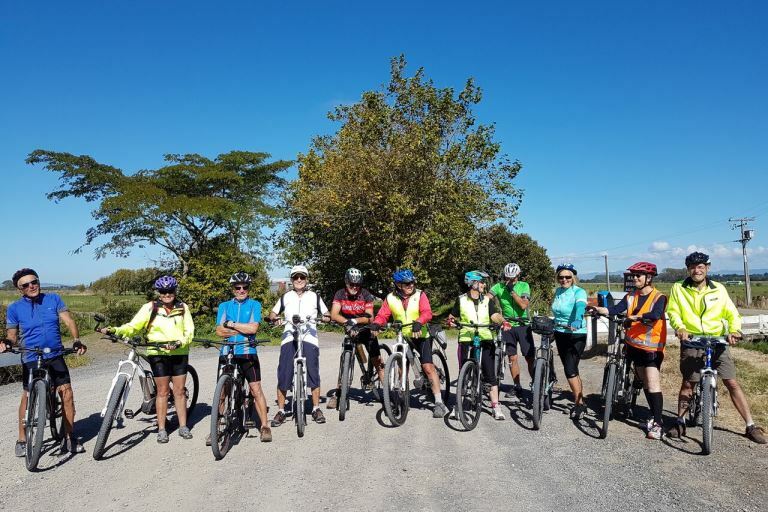 This section of the Hauraki Rail Trail is an easy, mostly flat tranquil ride passing through lush farm land, while following the old railway line, beside the Southern Coromandel Ranges and Hauraki Plains. 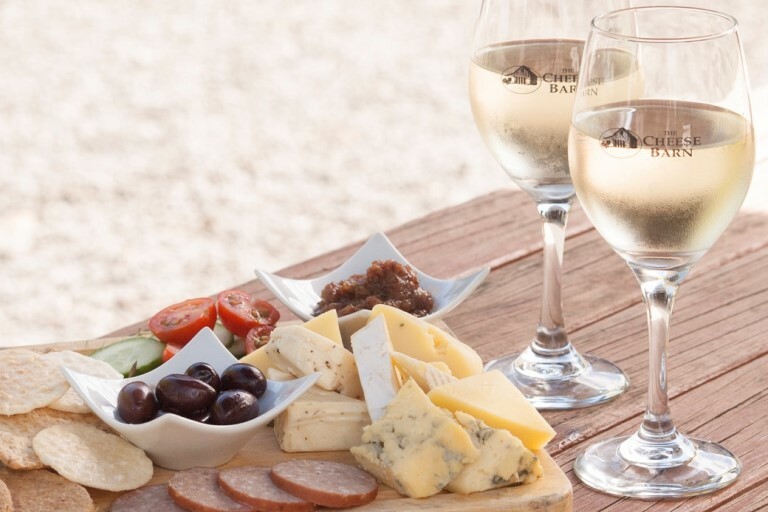 About 12kms along the trail you will come across The Cheese Barn Café at Matatoki, a perfect place for refreshments and pet alpaca feeding. 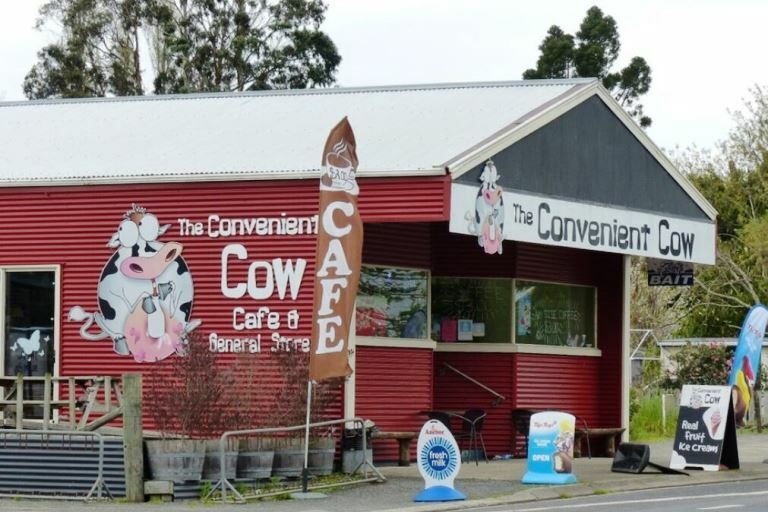 Also on the trail cyclists pass nearby the historic Puriri Hotel, and The Convenient Cow Cafe at Hikutaia. 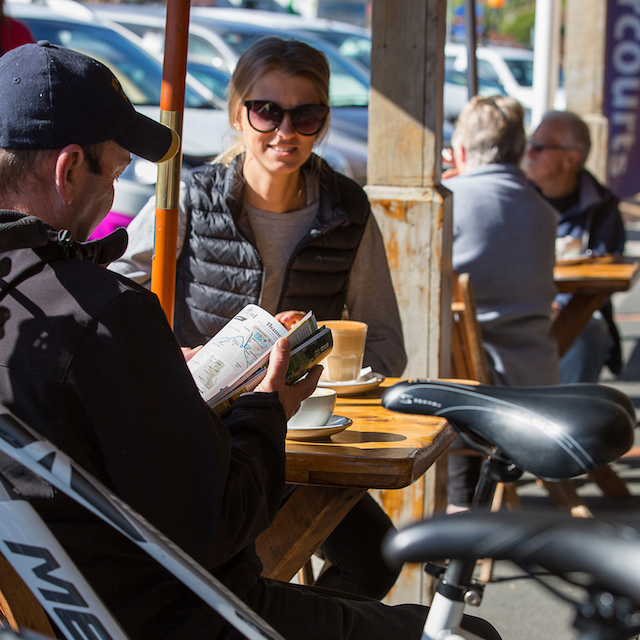 Paeroa is at the end of this section, ‘world famous in New Zealand’ for Lemon and Paeroa, and its many antique shops. 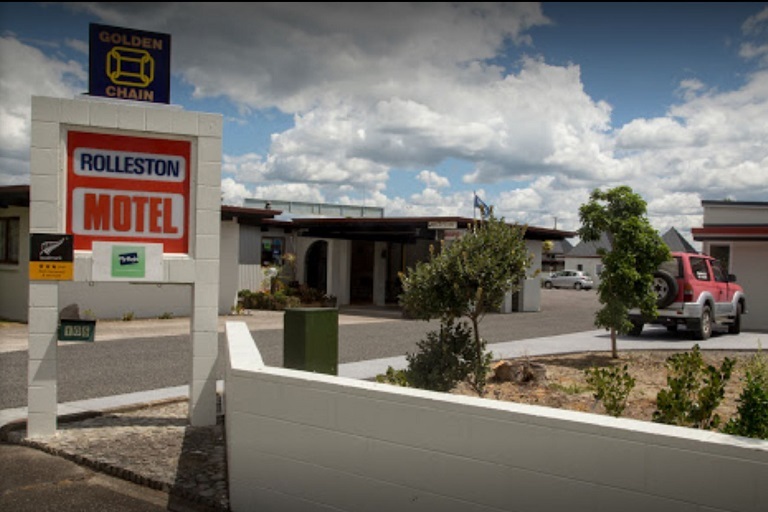 There is a number of accommodation and meal options to make your stay in Paeroa enjoyable, with the opportunity to freshen up with the local laundromat offering hot showers and clean clothes. Phone coverage is generally good on this section of the trail. 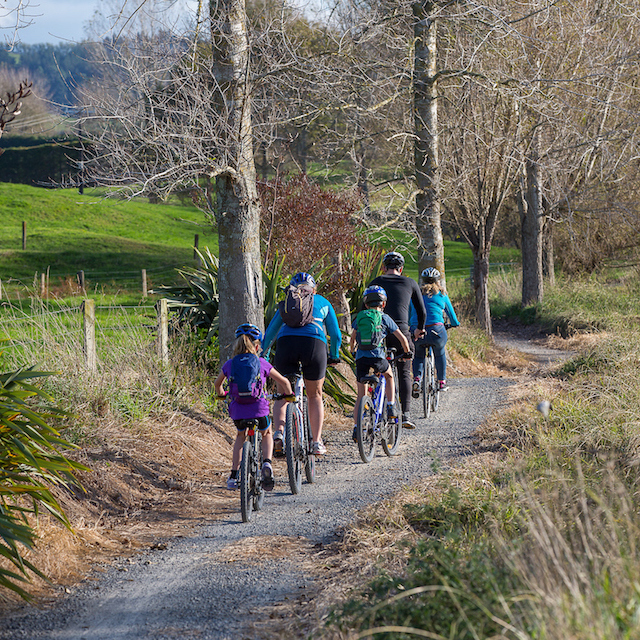 DOGS ARE NOT PERMITTED on this section of the Rail Trail except where the trail intersects the urban areas of Thames and Paeroa. Thames – rich in pioneering and gold-mining history. 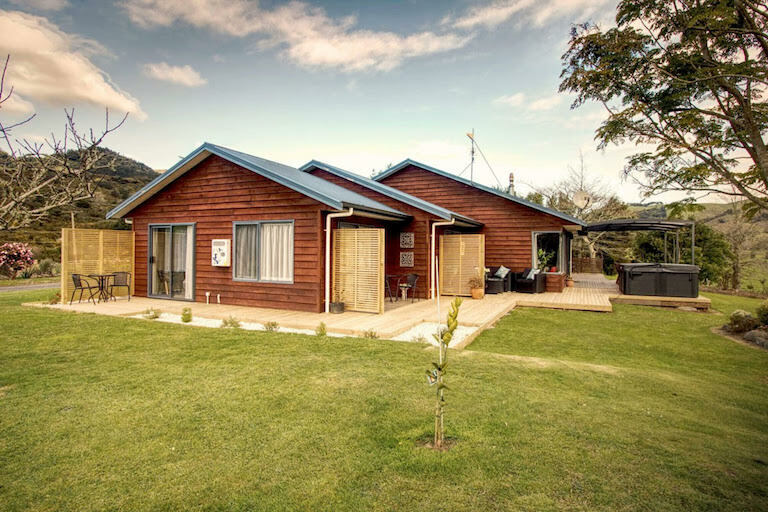 Rural Tranquillity with views of the Hauraki Plains and the Coromandel Ranges. The opportunity to do some antique shopping. Thames is a trade and servicing centre with associated secondary industries. It is also an important base for commercial fishing in the Firth of Thames and elsewhere in Hauraki Gulf. Town industrial activities include fish packing and curing; sawmilling; general engineering; the manufacture of steel tubes and other products of heavy, medium, and light metal industries; concrete products; knitwear and other clothing. There was a brass foundry at Parawai on the south-east of the borough. The original settlers in this area was the Ngati Maru people who were friendly people. By the 1600s Tainui’s Ngati Paoa people had begun to arrive and eventually settled both sides of the Firth and the Coromandel Peninsula. On 16 November 1769 Captain James Cook in his ship Endeavour cast anchor off Tararu Point, about 3 kms north-west of the present town of Thames, and made a short excursion on the Waihou River by ship's boat. HMS Coromandel brought the Rev. Samuel Marsden to the district in June-July 1820. In 1821 Hongi Hika and a large war party arrived in the district and, by an act of treachery, captured the impregnable Te Totara pa near Thames and killed at least 1,000 inhabitants. 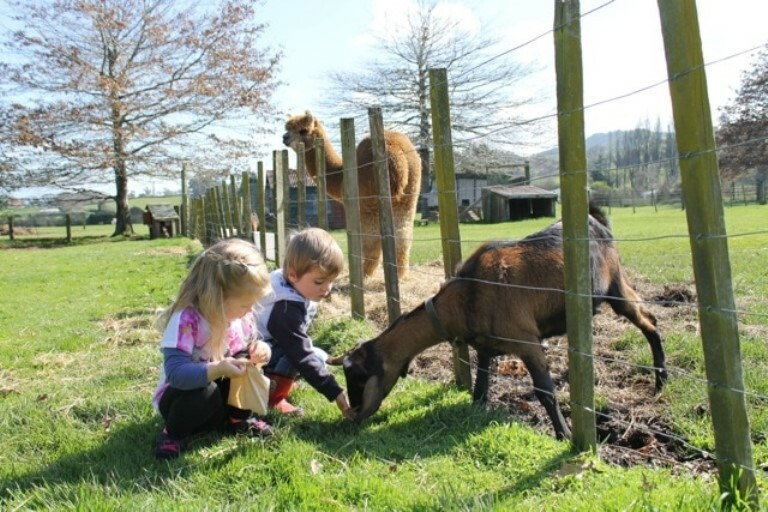 Despite its present air of serenity, Hikutaia (thrashing tail), situated some 11 kms from Paeroa and 22 kms from Thames has a past which was brash, turbulent, and full of colourful characters. Its early European settlement dates back to 1839 when the McCaskill brothers from Scotland, purchased land from Hura Moana. Prior to this Missionaries, explorers and traders were familiar with the district. Paeroa (a low hill) featured prominently in the early Maori settlement of Hauraki, with the large Raupo Pa, on the junction of the Waihou and Ohinemuri Rivers, 3km west of the town, being inhabited from around 1300AD. 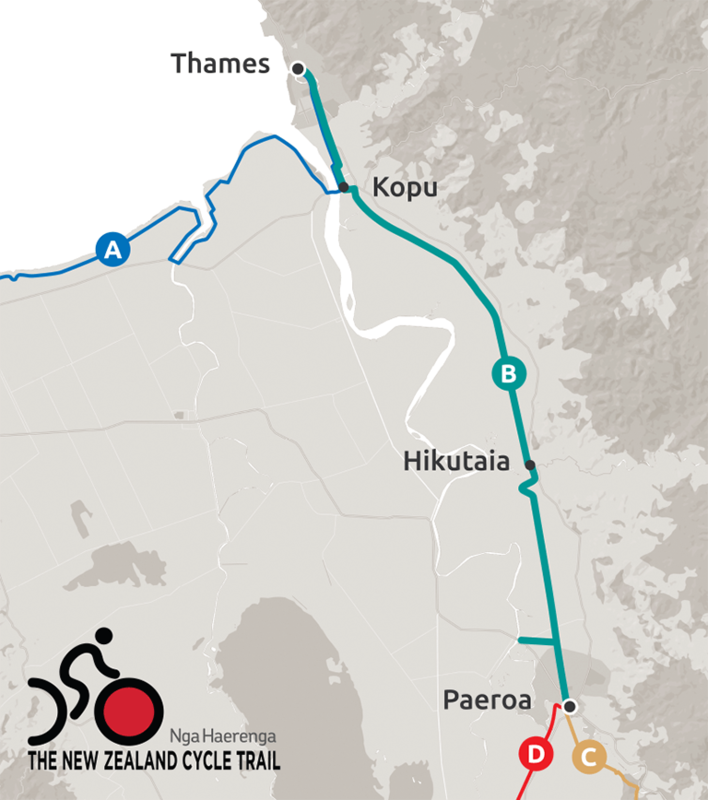 Paeroa was on the main route from Hauraki and points north to the Bay of Plenty. Travellers went by canoes using the Waihou and Ohinemuri Rivers to reach Paeroa. From here they tramped through the Karangahake Gorge, across the Waihi Plains to Athenree, at the northern end of the Tauranga Harbour, and continued on their journey by canoe. 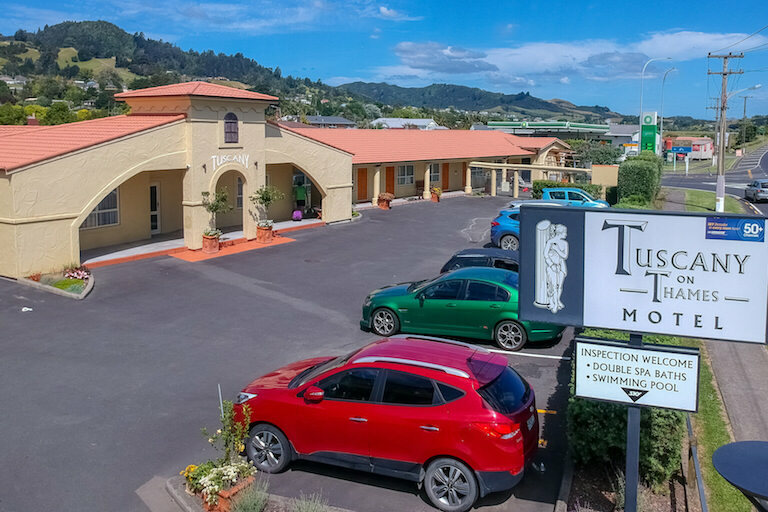 The Reverand Henry Williams and party passed through the Thames district in October 1833 and chose a site for a mission at Te Puriri (now Puriri, 15kms south-east). The site proved to be unhealthy and in 1838 the station, occupied by the Reverand James Preece since 1834, was transferred to Parawai (part of the present town of Thames). Preece worked there until 1847. The Historic Kopu Bridge was built in 1928 and has Heritage New Zealand’s highest possible ranking for a historic place, Category 1. The bridge is unique as it is the longest single lane bridge in New Zealand and also the last remaining operational swing bridge in New Zealand. The centre span of the bridge where the Pilot house is located, swings open to allow boats through. In it’s heyday, when the river was a highway for paddle steamers, goods and sand barges, many boats a day passed through the swing span. Boat captains signalled their need for the bridge to open to the Bridge Pilot by blowing their horn. In recent years, river traffic has significantly reduced with the bridge only being opened 0-3 times in any one year. The bridge was closed in 2011 when the new two lane Kopu Bridge opened. Before this, the old single lane bridge carried over 9000 vehicles per day, including heavy trucks. The 453 metre one way bridge, was controlled by in later years by traffic lights at both ends, so only one direction could go at a time. 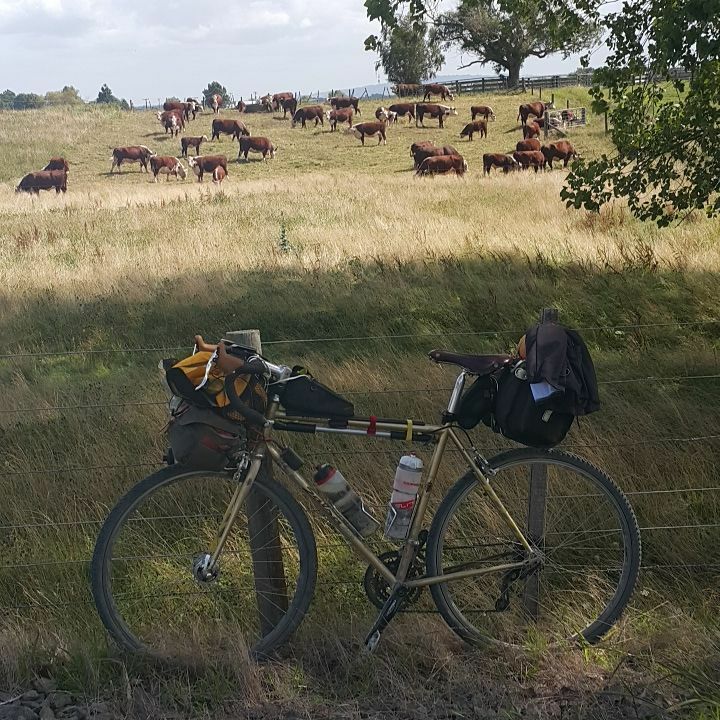 The Hauraki Plains is known for farming which are mainly dairy. Over the years butter has been manufactured at Ngatea, cheese at Hikutaia, casein at Wharepoa and at Turua, and milk powder at Kerepehi. Today cheese is made at Matatoki. Timber is logged chiefly from the western slopes of the Coromandel Range and there are sawmills at Matatoki and at Ngatea. Water was a problem to the early settlers but it was also a godsend. There were no roads for access so the rivers and drains became the roads and highways for access to the farms and to get produce to the markets. River traffic coming from Auckland used the only three rivers flowing down the Valley, the Waihou, the Piako and the Waitakaruru Stream. Rivers were a hive of activity. As the roads improved by using this metal and cars and trucks became common the shipping service stopped. 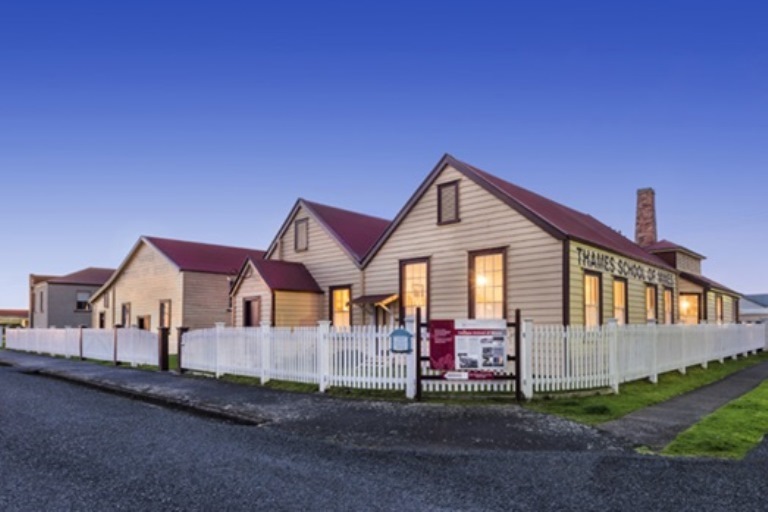 More shipping history can be found at the Historical Maritime Park & Museum just outside Paeroa. 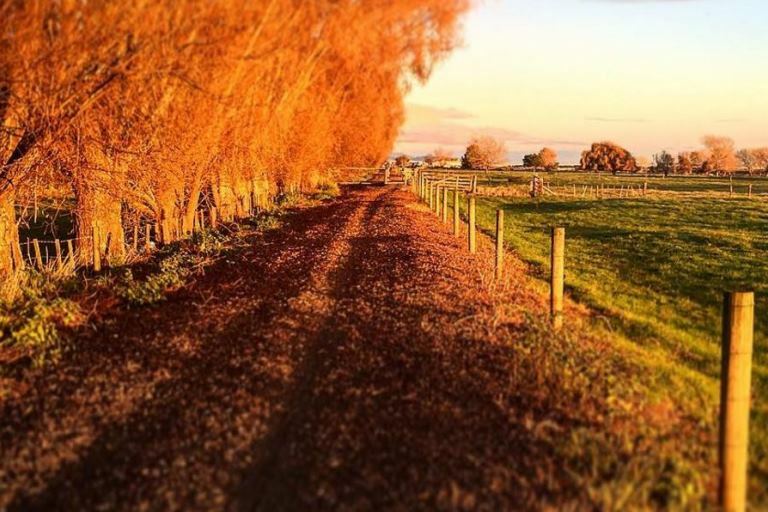 The main exports from the Hauraki Plains over the years have been timber, flax, and dairy produce. In 1868 a timber mill was started at Turua. The mill began cutting the large stands of kahikatea in the vicinity and exporting it. The pasture and land has been improved. Drains and canals now mean that the water level has been controlled. Pumping stations can be seen on many drains to provide an extra insurance for drainage. 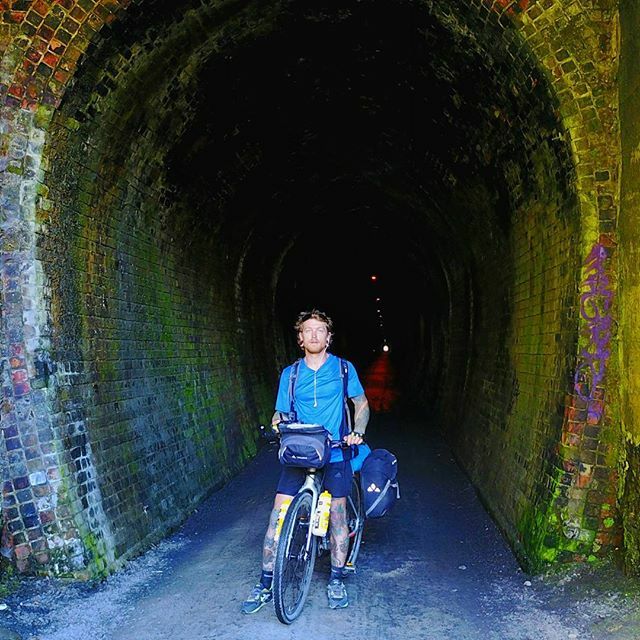 By 1905 the railway line had been constructed through the Karangahake Gorge to Waihi and this spelt the end to horse-drawn traffic and also had an effect on river shipping. The coming of the motor vehicle from around 1914 and particularly after the First World War (1914-18) saw the boat traffic gradually decline, ceasing in the late 1930s. By the 1950s the Paeroa railway station, had become one of the largest junctions in New Zealand. 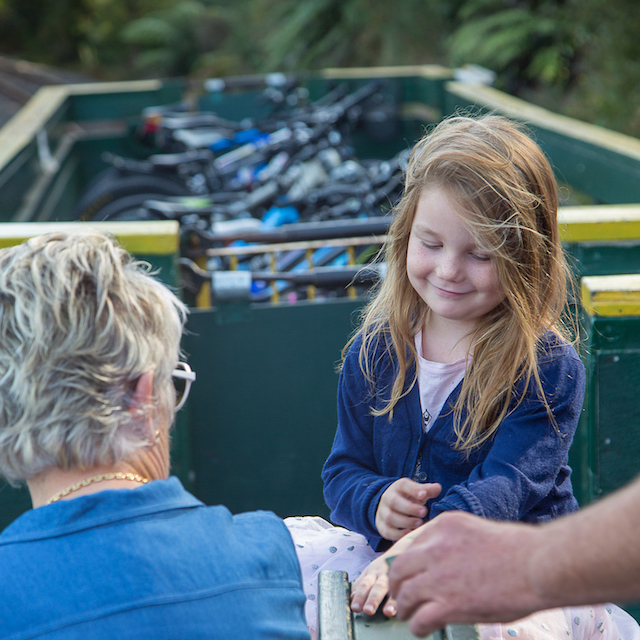 Economic trends saw the railway closed in 1970s with the opening of the Kaimai tunnel and road transport diminished after a series of company amalgamations around 1990. As the mining enterprises wound down, the slowly developing farming industry gathered pace. The first creamery was built in Thames Road in 1899, then came a butter factory in 1901 (where Agrisea and Buchanan Joinery are today), with other butter and cheese factories in the district at Netherton and Hikutaia. 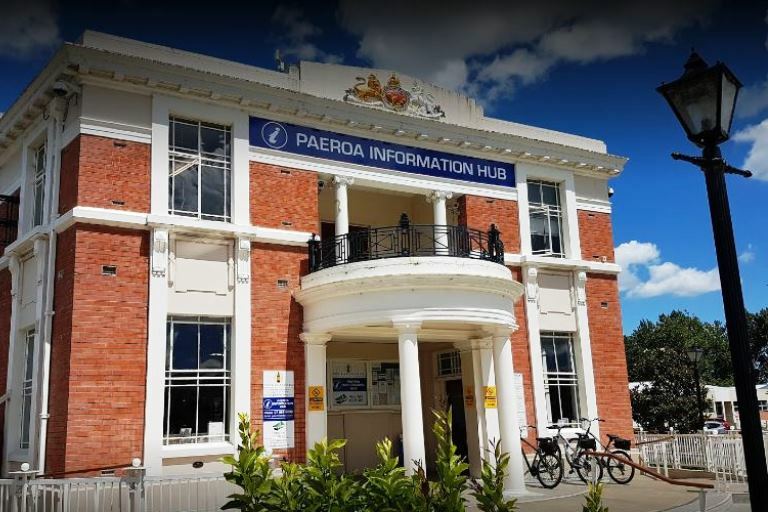 By the 1960s Paeroa had its butter factory and a modern milk-powder producing factory, and at Kerepehi 13kms away, was one of the largest milk-powder factories in the Southern Hemisphere. But again through the 1980s with changing economic times and company mergers within the industry taking place all these factories were closed. 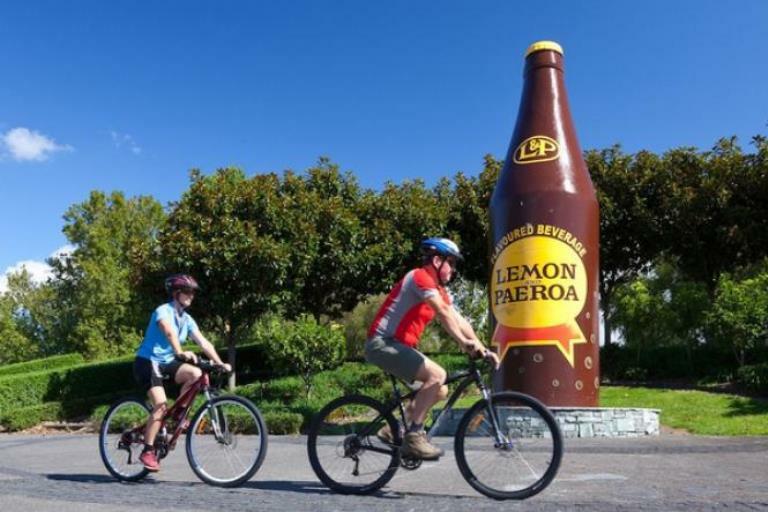 A chance discovery of a spring on a block of land in Junction Road was the start of the ‘famous in New Zealand’ brand Lemon and Paeroa of soft drink. The unique mineral waters bubbling from a deep underground spring were recognised for its medicinal and thirst quenching qualities. Local residents would partake regularly of the spring’s waters with a popular addition of a slice of lemon. 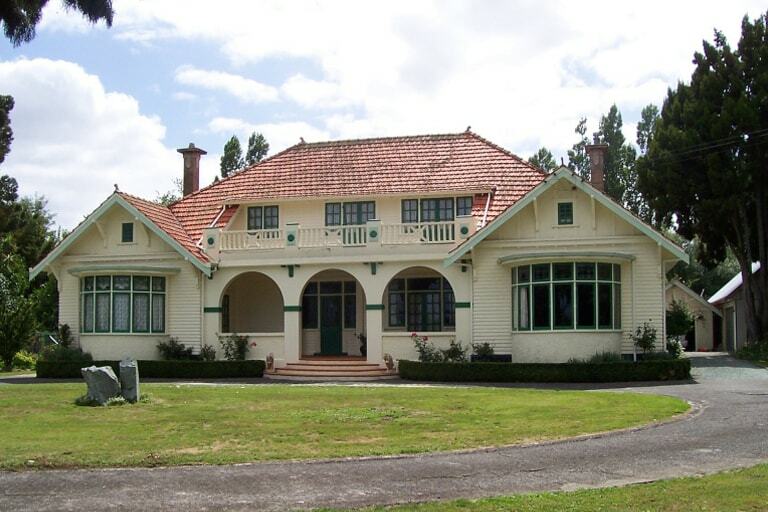 In 1909, owners of the property, Robert Fewell in partnership with his brother-in-law Frank Brinkler commenced marketing the mineral water through his company the Paeroa Natural Mineral Water Company, which was incorporated in March 1910. 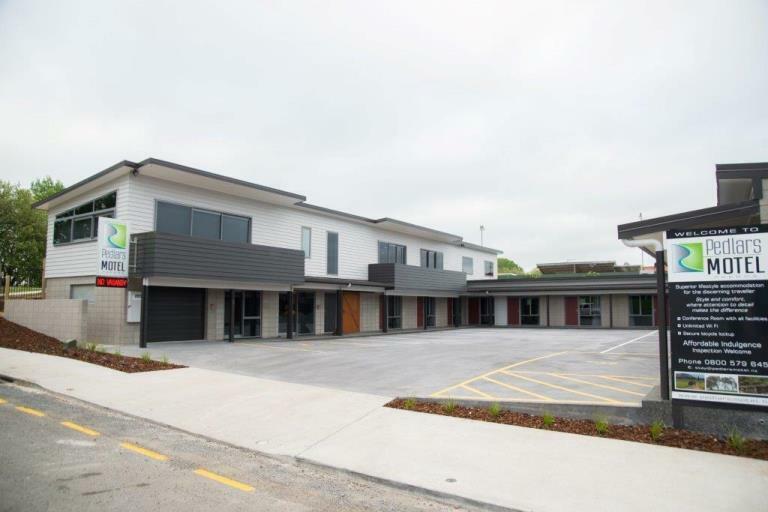 This firm built up a large clientele over a wide area including Auckland as it supplied cases of bottled Paeroa mineral water. 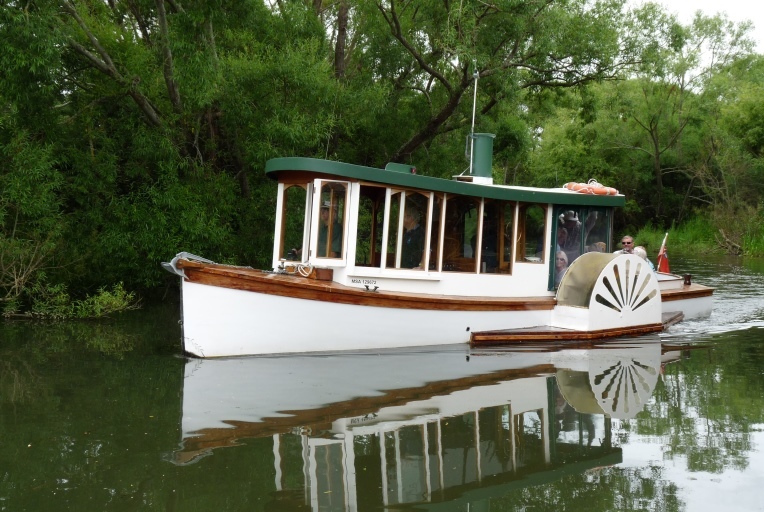 The firm also consigned barrels of the water to customers in Auckland on the Northern Steamship Company’s river steamers SS Taniwha and SS Waimari. 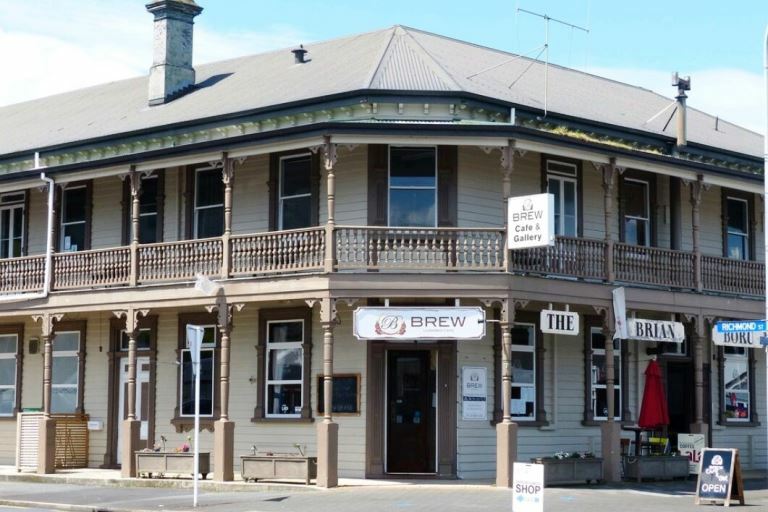 In 1915 Mr Fewell sold his Paeroa Natural Mineral Water Company’s property and proprietary rights to Grey and Menzies Limited a local and regional aerated water manufacturing company. In 1960 New Zealand Breweries took over the business although it was still operated as Grey and Menzies Limited. Later the Auckland firm, Schweppes Limited took over from New Zealand Breweries and formed a company named Contract Bottlers Limited. In 1963 C. L. Innes, a long-standing Hamilton aerated mater manufacturer, became involved and the new firm Innes Tartan Limited formed. Demands for the unique drink continued to climb. Schweppes (New Zealand) Limited, another cordial manufacturer, became associated with Innes Tartan Limited to manufacture Lemon & Paeroa at its New Zealand factories. With the changing economic climate during the late 1970s and with the trend of the day being amalgamations, Oasis Industries, another Auckland aerated water manufacturer, became involved taking over Innes Tartan and Schweppes. 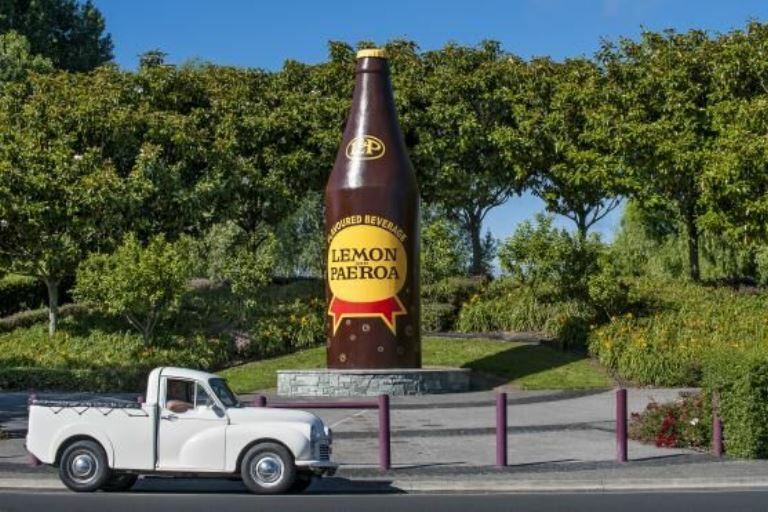 The Paeroa factory was closed by its new owners in July, 1980, and the whole production unit moved to Auckland. The ownership of the spring remains with the Auckland firm, which in more recent times has been absorbed by the international and American-based company Coca-Cola Amatil.